This all metal clay extrusion set features a 3-1/2" injection-style gun and 19 interchangeable discs. 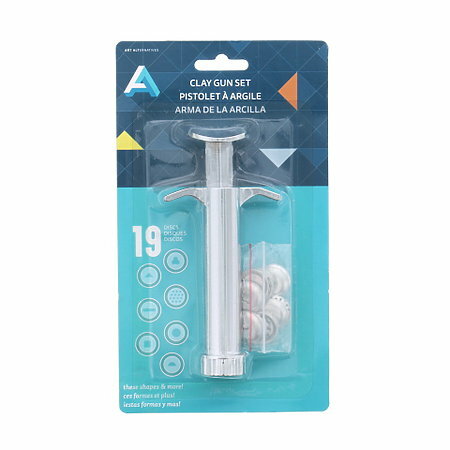 Use with any kind of clay, polymer clay or modeling compound. Discs allow you to make many shapes, including: borders, leaves, trees, ropes, trim, hair, grass, string, tassels, noodles, flower stems, vines, curlicues, braids, frames, ribbons, bricks, letters, shingles, weaves and more!